The real-world mileage we've seen with Highlander Hybrid models remains lower than expected; you might be able to meet it (or do better on the highway) in non-Hybrid models. The Toyota Highlander gets a stronger, more responsive powertrain for 2017, but the main strengths are the ride quality, the cabin refinement, and the space for eight. A somewhat more aggressive look, more power, an improved set of safety features, and a new sportier SE model highlight the changes Toyota is ushering in for its spacious crossover utility vehicle, the 2017 Highlander. The SE joins LE, LE Plus, XLE, Limited, and Limited Platinum models. The Highlander Hybrid is now also available in LE and XLE trims, in addition to the carry-over Limited and Limited Platinum. The current generation of the Toyota Highlander, which made its debut for 2014, continues this model’s reign as a family mainstay. It goes for a true middle-of-the-road position among three-row utility vehicles—as a model that looks a little more rugged and truck-influenced than many of its peers on the outside, yet stands as an entirely carlike, family-friendly minivan alternative when you look at it from the inside out. In front, the 2017 Highlander and Highlander Hybrid get a new grille design (upper and lower), plus different grille finishes and headlight housing designs depending on grade. Top Limited and Limited Platinum models come with painted-chrome details, while others get a silver-painted look. And Limited and Platinum models get a chrome trim garnish in back. Most 2017 Highlander models will be powered by a revised, direct-injected 3.5-liter V-6, which produces 295 horsepower, up 25 horses this year. These models also get a new 8-speed automatic transmission that has an expanded torque-converter lockup range and what Toyota describes as a more direct driving feel. This new powertrain improves both pep and fuel economy. The V-6 tops out at 21 mpg city, 27 highway, 23 combined. 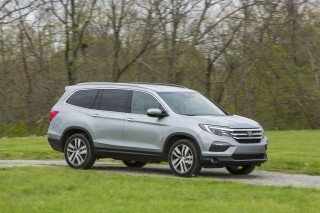 The base Highlander LE model comes only with front-wheel drive and is driven by a 185-horsepower 2.7-liter 4-cylinder engine and 6-speed automatic transmission—a combination that is unlikely to return much better real-world mileage than the V-6 as it’s harder pressed. It is rated at 20/24/22 mpg. Meanwhile, all V-6 models come with engine stop-start, letting the engine be shut off during traffic-light idling and automatically restarted with a lift off the brake pedal. 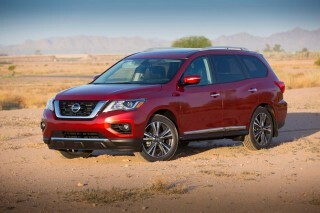 Hybrid models also get direct injection and an Atkinson-cycle version of the V-6. The hybrid system uses two electric motors, one up front and one in the back that provides all-wheel-drive propulsion, to net 306 hp (up 26 horses). The Hybrid delivers 30/28/29 mpg. Across the board, current versions of the Highlander tend to handle more responsively than their truck-influenced styling might suggest. Ride quality can get a bit firm with the 19-inch wheels. The new Highlander SE model has the 19s plus a sportier suspension tune, but it still isn't too harsh. The Highlander continues to offer two different layouts. Most models offer second-row bench seats that allow up to eight people in all; or in top Limited and Limited Platinum grades you can also choose second-row captain’s chairs and seating for seven. The latter may prove the preferred layout for empty nesters who want to road-trip with other couples, or for those who want to allow easier access to the third row. The second-row bench seat does slide to improve access to the reclining third-row seat. The third-row bench is handy to have, but it remains very small in all respects. For 2017, the Highlander now gets four more USB ports, for a total of five. The base LE model comes with such features as 18-inch alloy wheels, Toyota’s Entune AM/FM/CD audio system with a 6.1-inch touchscreen, and Bluetooth phone connectivity and music streaming. The sporty-themed Highlander SE gets a special dark-painted treatment for the grille, headlight housings, and roof rails. Inside, the Highlander SE has black leather upholstery with silver stitching and patterned inserts, matching dash and door inserts, and a black front tray. At the top of the lineup, the Limited Platinum comes with such features as leather upholstery, heated and ventilated front seats, driver’s seat memory, a 12-speaker JBL audio system, a surround-view camera system, a heated steering wheel, heated second-row seats, and a panoramic sunroof. Safety features and options are reconfigured for the better in the 2017 Highlander. A new Toyota Safety Sense P is now standard and includes a pre-collision system with forward collision and automatic emergency braking, plus lane departure alert, a pedestrian pre-collision system, adaptive cruise control, and automatic high beams. At the XLE level, the Highlander steps up to blind-spot monitors as well, while the Limited Platinum gets a surround-view camera system. The Highlander's interior has the look and feel of a modern crossover, while the exterior reads more as a truck. A new nose gives the Highlander a more aggressive but arguably less attractive exterior appearance. The grille now takes on an odd cone shape with a silver finish on LE and XLE models, black for the SE, and platinum on the Limited models. The grille juts out further and makes the vehicle 1.3 inches longer. The Limited model adds puddle lamps that spell out "Highlander" on the ground, all models get LED taillights, and the rear end features a chrome garnish on higher line models. 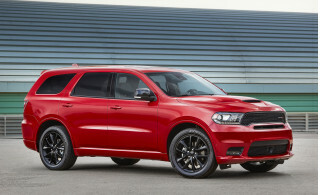 The overall look remains in the gray area between SUVs and more rakish crossover wagons, but it's definitely closer to a truck look, with the maw-like grille and exaggerated wheel flares and sills. 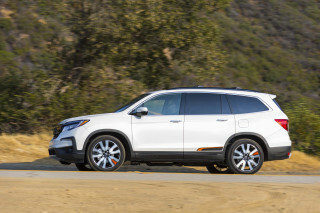 It's somewhat reminiscent of the off-road-centric 4Runner in profile, and there's an SUV-ish style that runs exactly opposite to the trend in most other big crossovers (such as the Hyundai Santa Fe, Honda Pilot, and Chevrolet Traverse). That interior look skips past ambiguity, and it's all car, with just a little bit of truck influence in the instrument-panel details. A large touchscreen is included on navigation-equipped models, but it doesn't upset the cockpit's visual clarity because most climate and auxiliary functions still have hard buttons, not virtual on-screen ones. The lines sweep from driver to passenger, but the focus is clearly on the left side—big gauges and large, easy-to-operate climate-control knobs are a welcome sight. A smooth ride and a strong V-6 are the highlights, but the standard 4-cylinder is weak and the handling is uninspired. The 2017 Toyota Highlander offers 4-cylinder, V-6, and Hybrid models, with a choice between front-wheel drive and all-wheel drive for much of the lineup. And across that lineup, the Highlander has some similar driving traits: it's smooth and generally fuel-efficient, but nothing to get all that excited about. We have a favorite among the powertrains: the standard 3.5-liter V-6, which is upgraded this year. The 3.5-liter V-6 adds direct injection for 2017, and that helps improve power and fuel economy. 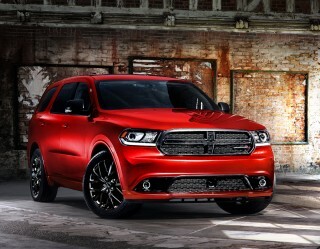 Horsepower increases from 270 to 295 and torque is up from 248 to 263 pound-feet. It's also teamed up with a new 8-speed automatic transmission, and it can be paired with either with front- or all-wheel drive. On the road, the V-6 provides plenty of power and is competitive with the best V-6s in the class. Power is delivered smoothly and the 8-speed automatic has almost imperceptible shifts. The transmission can be a bit tardy to downshift for passing, but once it does, that slowpoke in front of you will soon be in your rearview mirror. 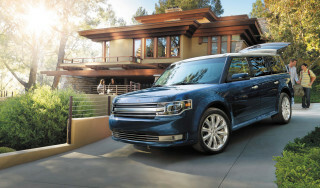 The turbocharged Ford Flex and V-8-powered Dodge Durango are quicker, but the Highlander's V-6 is certainly strong and, in our experience, surprisingly fuel efficient—the addition of direct injection should only improve that. The base engine is a 2.7-liter 4-cylinder that comes coupled to a 6-speed automatic and is offered only with front-wheel drive. It's smoother than you might expect from such a big-displacement four, and it makes a meaty 185 hp and 184 lb-ft of torque; yet that's really not all that much for a big three-row vehicle like the Highlander, and while it accelerates reasonably and smoothly, it can be taxed with a full load. At the top of the powertrain lineup is the Highlander Hybrid; but before you think this is the best bet, think again. Here, it doesn't add up to very impressive performance (although mileage is a bit better, especially in town). It uses the 3.5-liter V-6, now with direct injection, and electric motors in front and in back, netting 306 hp, which is up 26 hp from last year The engine and front motor are linked to a planetary-type variable power-split device, like Toyota's other vehicles with Hybrid Synergy Drive. All versions of the Highlander Hybrid have all-wheel drive courtesy of the rear motor, which means the hybridized engine/transmission powers the front wheels, while only electric power passes to the rears. Yes, the mileage is better, but adding 350 pounds of mechanical gear drags on the Hybrid's acceleration and brings the power-to-weight ratio back into the territory of the 4-cylinder model. 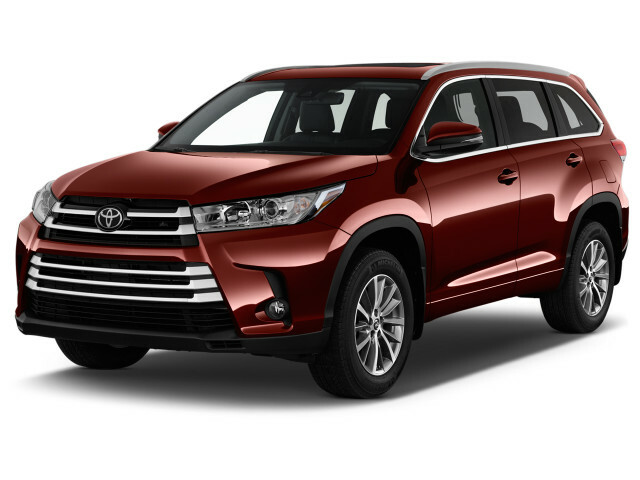 All V-6 (non-hybrid) Highlander models include a towing package that allows them to tow up to 5,000 pounds; the 4-cylinder version is rated at a puny 1,500 pounds. From behind the wheel, the Highlander is perfectly pleasant, but there is no passion in the handling. It's a bit wobbly on its feet and there is some lean in turns, but the steering and braking are predictable and the overall demeanor is controlled. The Highlander's somewhat firm-feeling electric power steering can even be called pleasant. Ride quality isn't quite cushy, but it's on the correct side of firm for a vehicle in this size class, though the optional 19-inch wheels can cause some wheel impact jolts over bumps. The SE model gets slightly firmer suspension tuning front and rear that helps control some of the Highlander's excess motions. That stiffens the ride slightly, but it isn't overly harsh. The Highlander's cabin features comfortable seats, room for eight, quality finishes, and lots of cargo space. The 2017 Toyota Highlander remains a vehicle that's quiet and calm, useful in almost every way you'd expect, and uncontroversial. Cabin refinement is top-notch. Quiet, calm, and well appointed, the Highlander feels like a luxury vehicle inside, with thick acoustic glass that damps powertrain noise, and insulation in the floor that blots out vibrations, suspension chatter, and tire squawk. Soft-touch materials on the dash are rich, the trim materials are attractive, and the tray formed into the dash is a truly useful spot for all kinds of small electronics. The look can be a bit busy with some trim and material combinations, but all said, it's a quality environment. The Highlander is very much about space. It's 192.5 inches long, with a wheelbase that's nearly 110 inches, which places it around the same length as a roomy mid-size sedan; yet there are three rows of seating and space for up to eight in all. The front seats are quite good, though the hardware for the cooled seats does interfere with comfort slightly. We aren't pleased that to get power adjustments on both front chairs, you have to spend for the pricey Limited model. A large tambour-covered console separates the front seats and the second row you'll find either a three-person split-bench seat with a recline feature or a pair of captain's chairs. There's a flip-up cupholder tray to fill the space left behind between captain's chairs on models so equipped. The second row slides on a track for good adjustability. It can either nibble away its own leg room or increase it, taking up space from the reclining third-row seat. The available sunroof interferes with headroom for those in the second row, so if you're tall you may appreciate the second row's recline feature. As for the third row, there's not much head room or leg room back there, and nowhere near as much as in a minivan, rendering it a place for smaller offspring and few else, though two adults can squeeze in for short trips. The three-person bench row folds flat and out of the way so the Highlander can be loaded up. There's up to 13.8 cubic feet behind the third row, 42.3 behind the second row, and 83.7 behind the front two rows. It's enough for a set of bunk beds or quite the stock-up at the big-box stores. 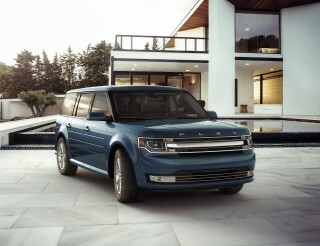 Top crash scores and a host of standard safety features give families peace of mind. The 2017 Toyota Highlander aims to be a great family vehicle, and based on a look at its safety feature set and crash-test results, it's achieved that goal. Standard safety equipment consists of the Toyota Safety Sense P suite, which comes with forward collision warning with pedestrian detection, lane departure warning with lane departure prevention, automatic high beams, and adaptive cruise control. Also standard are a rearview camera, hill start assist, and eight airbags, including a driver knee airbag and a front passenger seat cushion airbag. The SE and above get blind-spot monitors with rear cross traffic alerts, the Limited adds rear park assist, and the Limited Platinum gets front park assist. 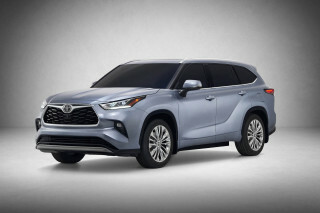 The Limited Platinum also comes with Toyota’s Safety Connect system, which includes emergency assistance, a stolen vehicle locator, roadside assistance, and automatic collision notification. The Insurance Institute for Highway Safety (IIHS) gave the structurally identical 2016 the Highlander top "Good" ratings in all categories, earning it Top Safety Pick+ status. The available forward-collision warning system is necessary for that honor, and the IIHS gave this system an "Advancted" rating. In National Highway Traffic Safety Administration (NHTSA) testing, the 2017 Highlander earns a five-star overall score, with four stars for frontal crash and rollover testing and five stars in side impact. Toyota expands Hybrid availability and adds a sportier SE model to its already extensive lineup. The 2017 Toyota Highlander is offered in a wide range of models. This year Toyota adds a new sportier SE model and expands the availability of the Hybrid. If you want the 4-cylinder engine, it's only in a most basic, price-leading model. The model lineup consists of LE, LE Plus, XLE, SE, Limited, and Limited Platinum trims. In addition to the carry-over Limited and Limited Platinum models, the Hybrid is available in LE and XLE trims for 2017. All Hybrids have all-wheel drive. Standard features of the LE include cloth upholstery, a 4.2-inch multi-information display, a 6-way manually adjustable driver’s seat and a 4-way passenger seat, a 60/40 split-folding and reclining second-row seat, a 60/40 split-folding third-row seat, a tilt/telescoping steering wheel, five USB ports, LED taillights, and 18-inch alloy wheels. It also comes with the Toyota’s Entune AM/FM/CD audio system with a 6.1-inch touchscreen, six speakers, an auxiliary input jack, Bluetooth phone connectivity and music streaming, and Siri Eyes Free. The LE Plus adds three-zone automatic climate control, fabric and SofTex faux leather upholstery, an 8-way power-adjustable driver’s seat, a leather-wrapped steering wheel, an 8-inch touchscreen, a navigation system, satellite radio, HD radio, HD traffic and weather information, fog lights, a flip-up rear window, and a height-adjustable power liftgate with a flip-up rear window. The XLE gets a sunroof, chrome roof rails, a color 4.2-inch multi-information display, leather upholstery up front and SofTex in the rear, keyless ignition, an auto-dimming rearview mirror, a 120-volt power outlet, second-row sunshades, Toyota’s Driver Easy Speak system that uses a microphone in the overhead console to amplify the driver’s voice to speak to rear passengers, and the Entune App Suite. Features of the SE include unique interior trim, black leather seats with ribbon inserts and silver stitching, blue LED ambient lighting, black headlight accents, LED daytime running lights, dark-painted front upper and lower grilles and roof rails, and 19-inch wheels. The Limited model adds perforated leather first- and second-row seats, heated and ventilated front seats, driver’s seat memory, a 4-way power-adjustable front passenger seat, wood-grain accents, second-row captain’s chairs with side table, a rear cargo tonneau cover, and a 12-speaker JBL audio system. At the top of the line is the Limited Platinum, with a surround-view camera system, a heated steering wheel, heated second-row seats, a panoramic sunroof, and rain-sensing windshield wipers. Options from higher-line models are offered on some lower line models, and buyers can also get heated rear seats and a rear DVD entertainment system. The Hybrid models are equipped mostly like the gas models. 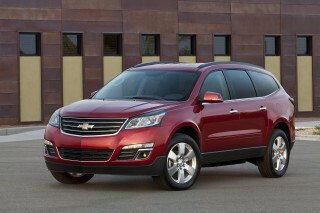 Highlander Hybrid fuel economy is great by the ratings, but not in the real world; V-6 efficiency improves this year. Fuel economy for the least expensive Highlander, the 4-cylinder LE, is actually worse than the V-6 models because this underpowered engine has to work hard to move the Highlander's significant mass. 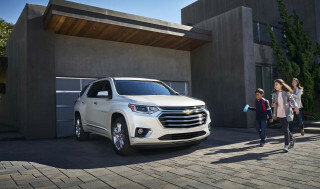 The base Highlander is rated at 20 mpg city, 24 highway, 22 combined. It only comes with front-wheel drive. Highlander V-6 models are the best bet, practically speaking, as they come with either front- or all-wheel drive. The V-6 adds direct injection and stop/start this year, and it can now switch between the more powerful Otto and more efficient Atkinson cycles, improving both power and efficiency. The EPA fuel economy ratings increase to 20/27/23 mpg with front-drive, while the all-wheel-drive version improves to 20/26/23 mpg. In the past, these models have delivered real-world numbers close to what they promise on the window sticker. Let's hope that continues with the new, higher numbers. The 2017 Toyota Highlander Hybrid is the way to go if you're particularly energy-conscious. It uses the 3.5-liter V-6 as well, though it runs on the Atkinson cycle exclusively and it also adds direction injection. As a result, fuel economy numbers rise from 27/28/28 mpg to 30/28/29 mpg. We've had trouble reaching the Hybrid's EPA figures in real-world driving. Very gentle driving has returned numbers close to this model's city rating, but in highway driving at normal U.S. Interstate speeds, we've seen just mid-20s at best. Let's hope the new engine fixes that issue, though it should be noted that if you will do mostly highway driving, the Hybrid offers little advantage over the V-6. The SE trim is different and pleasantly so, The trim makes it stand out, I have Euro runner boards, Mud flaps, Monster matts all round and a master stroke to have an option of Captain seats second row . Dark... The SE trim is different and pleasantly so, The trim makes it stand out, I have Euro runner boards, Mud flaps, Monster matts all round and a master stroke to have an option of Captain seats second row . Dark wheels. * Speed Automatic is slick.